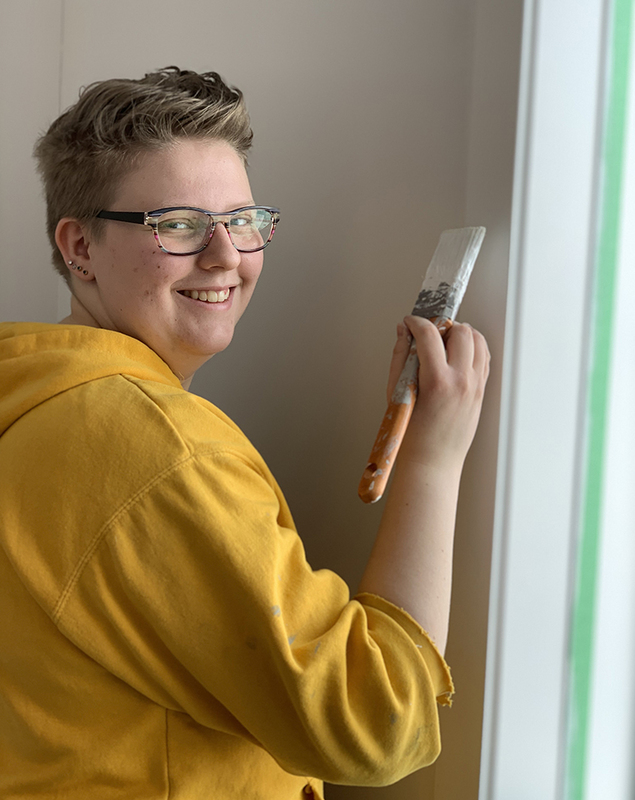 Volunteering on the construction site for Habitat for Humanity Southern Alberta has become a family affair for Jeramie Khoury and her family. Jeramie’s mother, Andrea, began volunteering with Habitat in 2015. Andrea would come home after her volunteer shifts on the Habitat construction site and begin raving about her day to her family. Inspired by her mother’s experience volunteering with Habitat, Jeramie knew she wanted to begin her own volunteer journey with Habitat. When she finally turned sixteen in 2016, she jumped at the opportunity to sign up for her first shift. Jeramie quickly became a regular volunteer on the Habitat construction site. 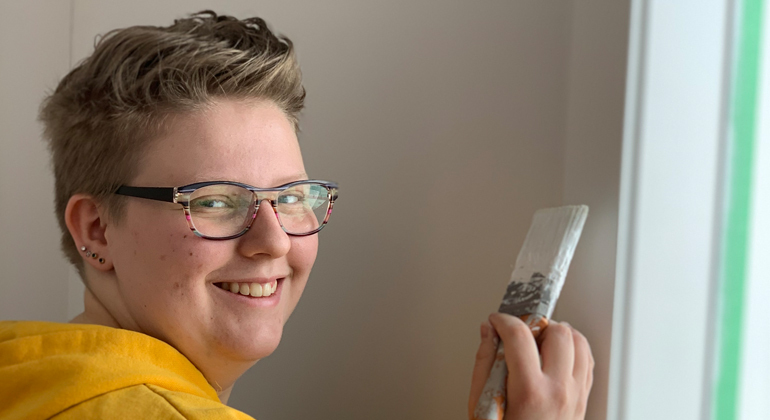 She began volunteering once a week and in 2018 she moved up the ranks and became Habitat for Humanity Southern Alberta’s youngest Crew Leader! A crew leader is a senior volunteer position, responsible for 2 – 3 volunteers, ensures their team is following safety protocols, and makes sure they complete their designated assignment during their shift. Jeramie would like more women to volunteer. As a woman, she knows the construction site can be daunting with unfamiliar tools, having no previous building experience or knowledge, and the simple fact that you’re building a home that a family will actually live in. One of Jeramie’s favourite memories is when she brought her friend to a volunteer shift. During their shift, they built a tall wall and it was Jeramie’s first time in an all-girls crew that didn’t just consist of her and her mom. Her brother, Gabriel, turned sixteen (Habitats minimum volunteer age) in 2018 and promptly joined his family on the Habitat construction site. Jeramie enjoys that volunteering with Habitat for Humanity has become a family activity.